Description Anna is the newest kitchen celebrity online. 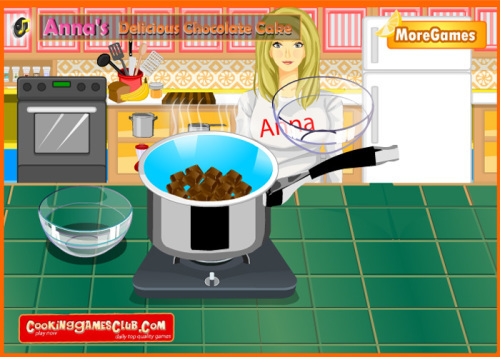 Her first recipe is this chocolate cake you have to cook with her. She will voice-guide you and help you cook the most delicious chocolate cake in town. Controls Use mouse to play this game , drag and drop ingredients , turn on or turn off the heat , bake the cake and slice it in the end.